If you think that idols are the trappings of international stardom or at least national importance, think again. Quite a lot of the time, there are idols for just about anything; even your own local town. These idols are known as locodols [short for local idols] and their job is to promote their town and businesses within. This is captured in the anime Futsū no Joshikōsei ga Locodol Yattemita and reveals that there is more to being an idol than just looking pretty; there are names to remember too! Nanako is your typical high school student with a secret dream of being an idol and becoming famous. This dream is suddenly realised when her uncle, who works for the local council, asks her to help promote the opening of the town’s newly refurbished swimming complex. The town of Nagarekawa is going through a rebranding exercise and its next step is to recruit their own idol and mascot troupe; Nanako is part of that mission and her uncle manages to ‘trick’ her into performing as a locodol despite the fact she’s really got no stage presence whatsoever and gets frightened easily. Fortunately her locodol partner Yukari is a kind soul and helps Nanako conquer her initial fear and the event is a success despite some hiccups along the way. As the rest of the show unfolds, a new mascot [Uogokoro-kun] is introduced as well as new member Yui and her understudy Mirai to help complete the lineup for the Nagarekawa Girls. They even get a proper manager after her uncle is relieved of his duties! That’s all there is to the plot essentially; the girls go from one engagement to the other and eventually hit the national stage representing their home town. In terms of ambition, the show doesn’t have much unlike its characters. Locodol is a simple story and that simplicity is carried through into the art style, plot and overall message. However, there are some places which cause either some critical thinking or moments where you are left feeling slightly awkward or disappointed. I’ll start off with why I like this show; it’s got heart to it. Nanako, Yukari and Yui are true friends and there isn’t any bitterness or in-fighting going on. It’s so simple and everyone is rooting for everyone else. Nanako is a timid girl with little ambition, Yukari is a confident girl with dreams yet no friends due to her wealth and Yui is a nervous girl who is very athletic and agile, perfect for the task of wearing the Uogokoro-kun costume. Each of them has a flaw and they all work together to boost each other’s confidence and pull off the event they are taking part in. That made me feel warm inside. I even appreciated that these girls were intelligent, genuine about their love for their town as well as its history [except for Nanako who is ashamed of her ignorance] and quite humble at the same time. I want these girls to succeed! It’s light and fluffy entertainment which is there to make you feel happy and not strain your brain for twenty minutes every week. When you strip away the window dressing of the locodol gimmick and see the scenes where the quartet are just going around town and being themselves with no trappings of ‘fame’ around them, it’s quite sweet and enjoyable. I like how the show manages to balance life and work somewhat evenly. Of course there is going to be idol-related plot points but it’s not relentlessly shoved down our throats; we get pauses to breathe and actually get to know the characters as people – thank you! 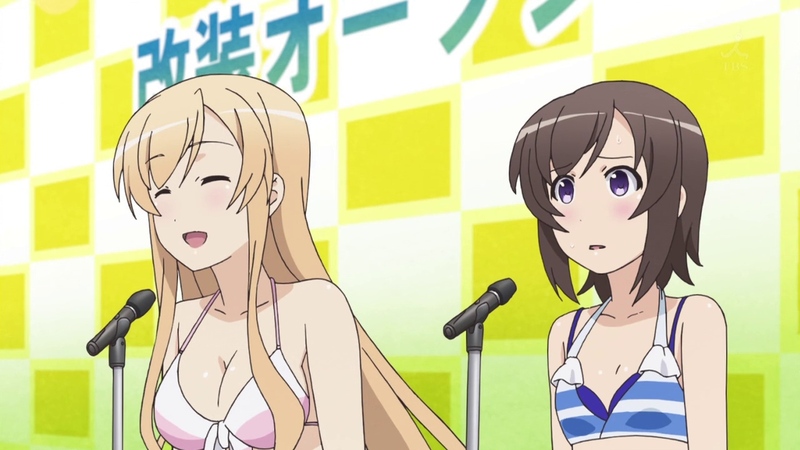 Now for the reasons why I am not so sure about Locodol. I do like the main characters and their individual drives, but I feel like the show has several underlying tones which seems a little unsettling. Nanako’s uncle and their new manager Saori don’t seem to worry so much about the girls’ insecurities and seem keen to exploit their charm and sexualise them way above the level any of them are comfortable [not as much for Yui who is in a costume most of the time, but even her figure is highlighted by the animators whenever she takes the suit off!]. With Nanako’s uncle it’s quite obvious and you don’t feel as disturbed because of its predictability but still, it’s kind of worrying that he wants to see his niece in skimpy swimsuits and whatnot. You think he was bad though? Saori is much worse! 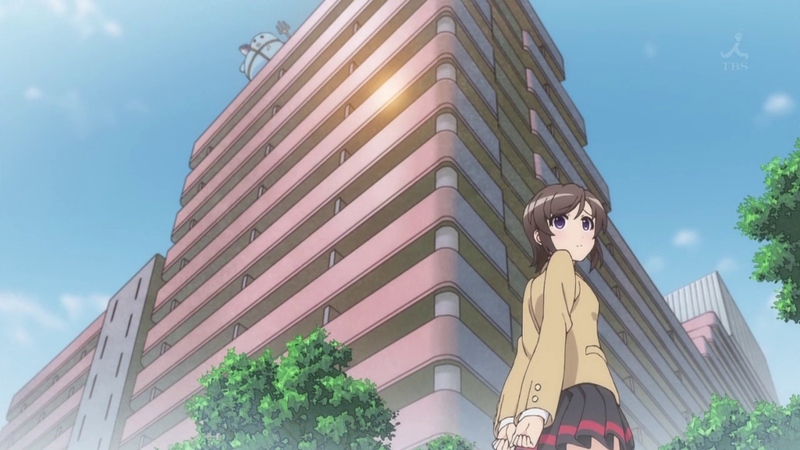 In episode four, there’s a pervert on the loose stealing costumes of idols and Nanako is scared out of her wits. 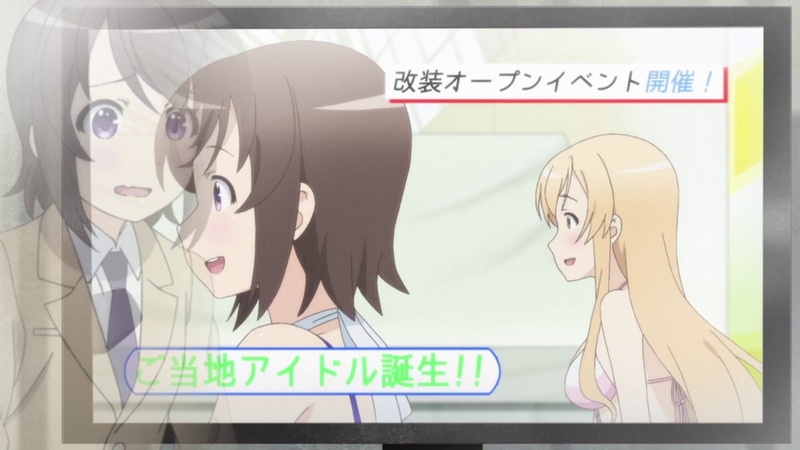 Saori then shows up and its alluded heavily she is the pervert pinching the clothes; then it’s pretty much stated she runs the Nagarekawa Girls’ fansite secretly taking pictures on her own camera as the production team does their thing. The blog itself is pretty sexualised with a lot of candid pictures. 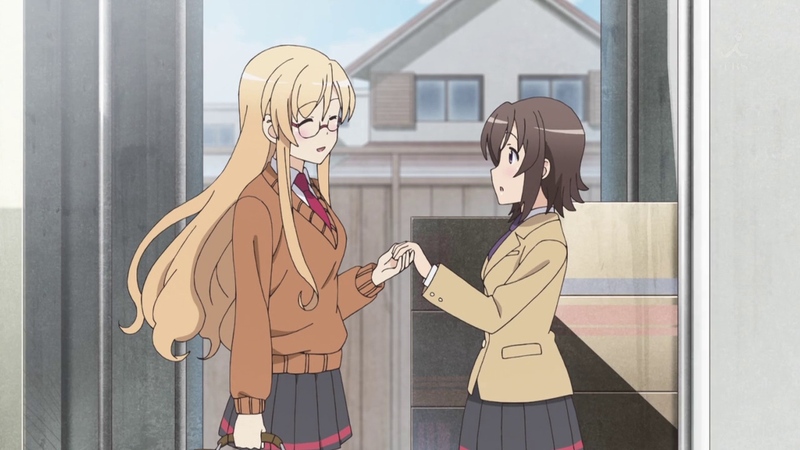 Saori even has a crush on Nanako and uses that crush as a motivator to be the girls’ manager. I find that to be creepy. This awkward feeling is tempered slightly because Saori is a good manager ultimately and helps the girls get work but the feeling remains and it spoils my enjoyment of the show. The other part which saddens me is that the level of ambition of the anime itself is low, much lower than the characters within. The narrative seems pretty stock to me and it doesn’t try to break ground or do something different, it’s something we’ve all seen before and would wish not to see again [or at least not so often.]. Am I turned off by Locodol because of its awkward perversions? Not quite. I try and look past it and look at the girls as people. They are nice people who look out for one another and are the kind of idols that we don’t see enough. They all have their charms and quirks plus they’re flawed in some way; but they come together to override the flaws and bolster each other through the hard times and ultimately come out on top when things look a little tough. The animation is pretty tame but it looks good enough to not be an eye-sore and allow one to focus on the story without being put-off by the animation quality; but it could be more ambitious, just like the show itself in the end. My summation? Try harder! Locodol is available to stream on Crunchyroll. Anifile has been going for almost five months now and is fast approaching 200,000 views in that time. It’s perhaps time now to have a face to accompany the ‘A’ swish; a sort of mascot to help spread the Anifile image. A mascot which conveyed the smarter and more analytical approach of our reviews whilst also retaining that cute and distinctive style that anime has across the world. Ladies and gentlemen, it gives me pleasure to introduce you all to Anifile’s new mascot – Ani. Ani was brought to life by the artist kimmymanga for this project so as to provide a friendly face as well as a smart and professional mascot. She has the knowledge of all the modern anime out there and provides it in a calming fashion. To seek the Holy Grail! No not really. Her presence on the website is to convey a representation of the medium we love – anime! She’ll be used on Anifile publications, graphics on the podcast as well as for any potential special editorials related to anime. She’s also a nod to the site Anime Picks which ceased posting not too long ago. Their mascot, Anna May, was pretty cool and I wished to carry on her spirit in the form of Ani! WHAT WENT INTO HER DESIGN? Her shirt and skirt combination is modelled on the schoolgirl archetype with a more bespoke design to reflect the colours of the Anifile scheme. 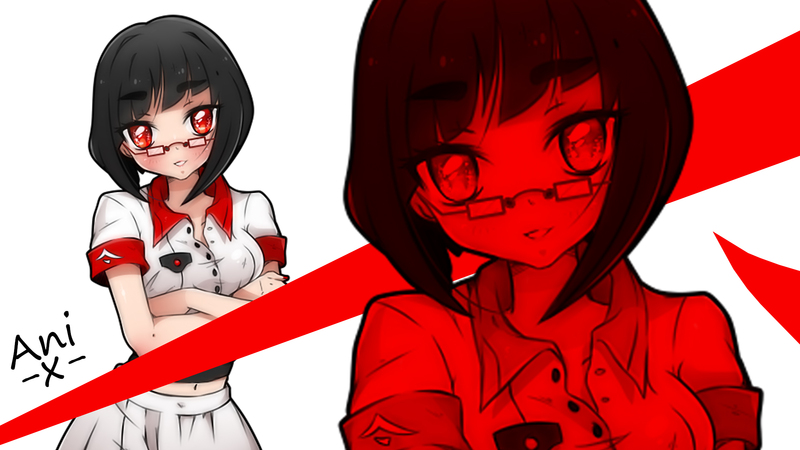 Her glasses also reflect the fact she’s pretty intelligent and a smart, strong character. Her hair design…well I just liked it! That would be the artist Kimmymanga who does really cute artwork and commissions. Her Facebook and Deviantart pages are always updated so check out her other works! So there we have it! Ani is now part of the Anifile experience and shall be incorporated into our site design over the next few days. I think you and her will get along just fine! So what do you think of her design and the overall concept? Cast your vote below!